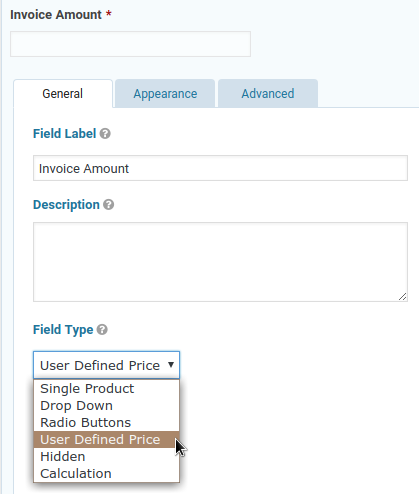 Change the Product field to a User Defined Price, and make all fields Required. 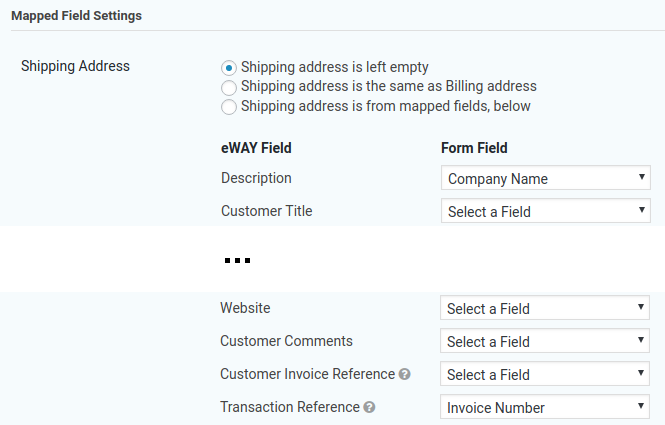 After saving the form, create an eWAY feed to map the form fields to eWAY transaction fields. 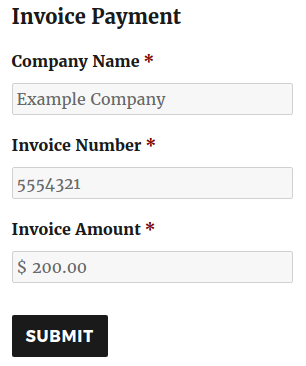 Map the company / payee’s name field to the Description field, and the invoice reference field to the Transaction Reference field. 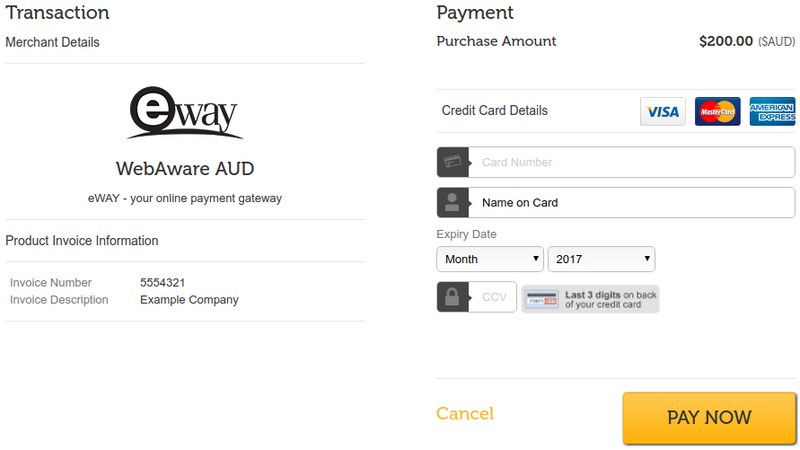 These fields will be displayed on the eWAY payment form, in eWAY transaction emails, and in your MYeWAY transaction reports.